Are you an industralist or trader and want to display your products in International Fairs / Exhibitions / Meets abroad? Are you a TV / Film Corporation, Journalist, Engineer, Musician or Artist and want to move equipments across borders? ATA Carnet – a tool for "Ease of Doing Business – Make in India"
CBIC Circular No. 48/2018 on TIR Procedure for movement of goods under TIR Carnets. 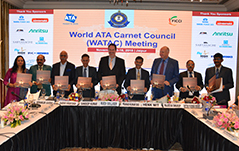 FICCI welcomes Qatar as the 78th Member Country of the ATA Carnet System. Qatar will accept ATA Carnets with effect from 1st August 2018. 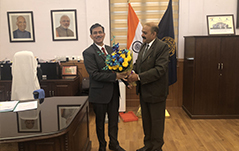 CBEC expands scope of ATA Carnet System to Professional Equipment. Customs Clearance facility against ATA Carnet has been extended to Jaipur Port – Please click here for CBEC circular dated 6th April 2017. New Amendments to Notification no. 157/90-Customs dated 28th March, 1990 vide Notification no.58/2016-Customs dated 5th October 2016.